The Formula One circus returns from North America for the eighth Grand Prix of the year, at Circuit de Nevers near Magny-Cours in France. 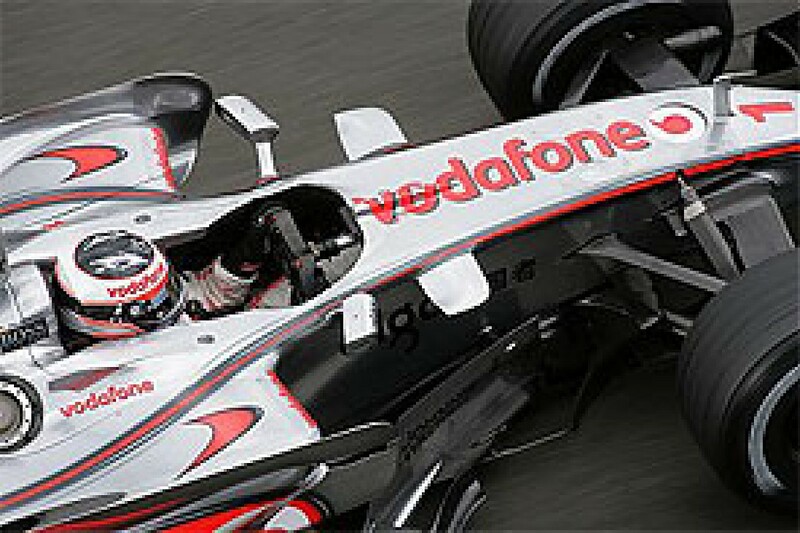 With McLaren dominating the last three events, Ferrari are aiming for a return to form. This circuit is known for having corners named after other circuits, a smooth but abrasive surface with high temperatures and sudden rain storms. Understanding the way tyres work is vital here for controlling graining and wear, though teams that are struggling to get heat into the tyres should suffer less than usual. In many ways, this is a classic European circuit: technical with medium high downforce requirements, rewarding efficient aerodynamics, overall balance and smooth power delivery. Being very difficult for overtaking, there is an emphasis on the importance of qualifying well and having a good race strategy. 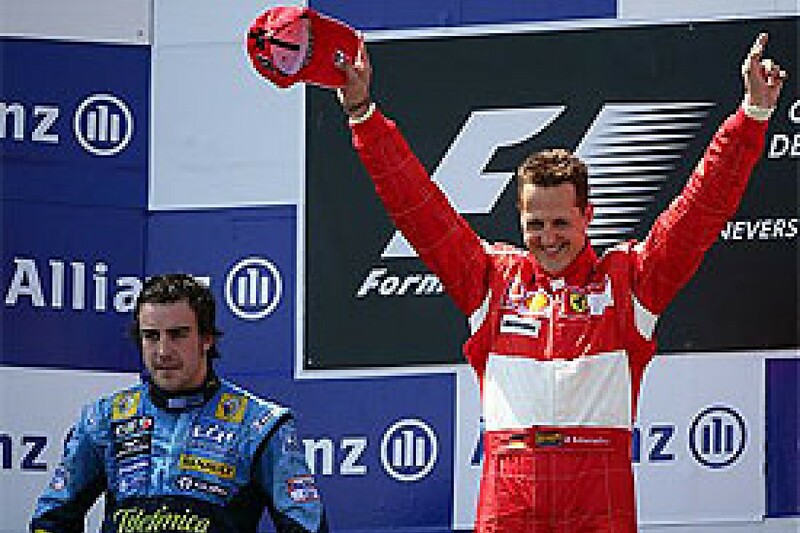 Considering the difficulty in passing at Magny-Cours, the bulk of the action was always to be on the opening lap, resulting in Alonso attacking Massa hard in to the opening corners, allowing Schumacher to eke out a margin at the front. In the opening stint, the only action on track was Barrichello giving up places to Villeneuve and Speed, though Montagny disappeared with an airborne incident when something at the back of his car gave way. The first round of stops began on lap 16 with Massa: his out laps on new rubber were impressive, negating the advantage of low fuel for the pursuing Alonso, who stopped a lap later, then Schumacher came in too. The Toyotas were two-stopping and stayed out in the lead for a spell; Renault decided they could not profit from their original strategy and changed to a two stop approach. 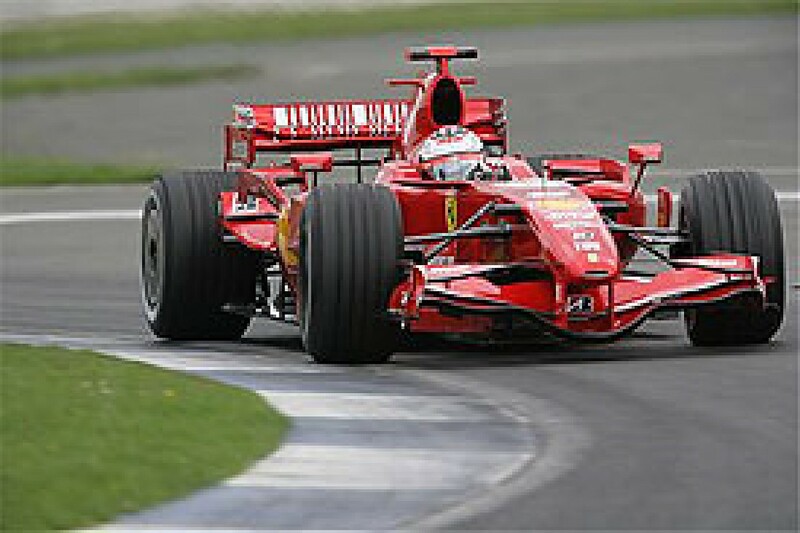 This was not a problem for Schumacher, but with tyres wearing, Massa was unable to do enough ahead of his third stop to stay ahead of Alonso. At the end of the day, Bridgestone's overall superiority told with the pole and win, but better wear characteristics allowed Renault to salvage second from the day. Although the weather is typically unpredictable, there is an expectation for showers through the weekend. Quite when and how heavy will become apparent only as the clouds roll over the circuit, but this is a place that can change from dry to flooded and back again in half an hour. Here, more than anywhere, the cost of making a stop is low, thanks to a short pitlane with fast entry and exit, leading to significantly wider strategic possibilities. Once the tyre characteristics are established on Friday, the teams will work out the theoretically fastest time from start to finish - which might be as many as four stops here, considering the high tyre wear and anticipated drop off in performance. That said, actually making four stops would require the driver to deal very effectively with traffic and potentially be forced to pass competitors on the track: accordingly, three stops is likely to be the quickest practical approach. Two stops is probably slower, but runs a smaller risk of the driver getting stuck behind a heavier laden car... and it is arguably a stronger strategy for inclement weather, despite the compromise to Q3 qualifying pace. Coming off the back of three wins, McLaren are clear favourites to win again in France, even though they don't have a good record there. Hamilton might be looking for a hat-trick, but Alonso is going to be keyed to get back in to the fight. Ferrari have made notable progress in testing, but whether it is enough to take the fight to McLaren will only really be known on race day. They are going to have to keep a weather eye on BMW-Sauber, though, as the outfit is looking strong and might even have the pace to get on to the podium. Everyone else will be hoping for something unexpected, if they are to make the podium: rain, or a well timed safety car could do it. Renault, at their home event, must be looking to take points from BMW this time around, but expect Red Bull, Toyota and Williams to put up a strong fight, too, for the remaining points. "Magny-Cours is a cool circuit, with generally nice weather, and very good overtaking opportunities as a result of the long straights, where you are able to slipstream. Especially coming into Adelaide (Turn Five) you are really able to out-brake people and gain a few places. "The most exciting part of the track is Estoril (Turn Two and Three); it is an extremely fast combination of corners and there is hardly any run-off area and if you make the slightest mistake it is really hard to come back from, because if you get on the marbles, you are off. Accuracy is key at this point and making sure you carry a lot of speed into the first apex, make the car come out a little bit and back in for the second apex, making sure the exit up the straight is clean. "We then turn into Adelaide, which is a very tight first gear corner. You are able to overtake here but it is basically all about who is the bravest and who can brake latest. This is followed by the fast chicane that is Nurburgring, which is again pretty cool to drive. On the exit you have no run-off, well you have tarmac but this is accompanied by this sort of patchy grass which you can not use. "As soon as you touch this it sends you off wide and you lose your lap time. Turns 11 and 12 and very fast and when you come into them it is very difficult. As you come up the hill before Turn 11 you can't see the corner, so you have to guess when you are turning in, sometimes you get it right and sometimes you don't. Finding a reference point to brake and where to turn is very important along with how much speed you run, as all of a sudden the kerb appears and you can find you have turned in too early and then you hit the kerb. "Coming out of the corner though the exit is very easy, leading into the long straight down into the second from last corner. This is a new part of the circuit which is again a good opportunity for overtaking, as you are able to slipstream and brake quite late. Finally we have the really tight chicane, which is not one of my favourites. You can't overtake; you can't follow; you just have to use the big kerbs and hope that your car doesn't break over them." Having only had one race weekend so far this year where they scored fewer points than Ferrari, and comfortably winning the last three events, it is little surprise to see McLaren heading to France as favourites. The team have been consistently quick, with both drivers having a brace of wins already. Although they have some improvements coming through and are aiming to win, their fourth one-two finish is only going to happen in France if Ferrari drop the ball as their main rivals are expected to have made some decent progress and close the gap, so it is possible they will have to play a team game with the strategies in order to be sure of the win. 1. Fernando Alonso: trailing his rookie teammate by ten points, it seems that Alonso has his work cut out to overhaul the youngster if he wants to be world champion this year; the competition from Ferrari and BMW is expected only to get tougher. He has not been as consistent as usual, and clearly faces stronger internal competition than Fisichella offered in previous years, but he should have just about finished settling in at the team now, and can certainly be expected to take the fight to Hamilton. 2. Lewis Hamilton: leading the world championship as he goes to France, Hamilton is in a strong position, and carries the expectations of his nation as he looks for a third win in a row. Whether the lead has an impact on his performance should be interesting to see, particularly if the team start asking him to be cautious to protect his championship lead, but there is no doubt that he is currently the man to catch. Despite having an improved car for the North American races, the team have arguably not fulfilled their potential in terms of points scored - though the nine they collected put them comfortably into fourth place overall, lifting them clear of the midfield. On the positive side, they now seem to have got both their drivers working, which is an important development if they are to keep scoring points fast enough to chase BMW in the standings. The team seemed to have an interesting Silverstone test, which, besides offering direct performance enhancements, seems to have improved the drivability of the cars further - allowing the drivers to add more to the package. Considering they are building up to their home event, the team are pulling out all the stops for the weekend ahead: accordingly, they might be getting just a little more from the engines this weekend in particular, and generally take a riskier approach in order to make a good showing. Back at the factory, it remains to be seen what will come out of the restructuring of their aero department, apparently with a view to separating the future vision from the current implementation. 3. Giancarlo Fisichella: now that his teammate is starting to show good form, Fisichella will need to keep pushing hard to contain the rookie; so far this season, his performances have been very strong, racing hard and overtaking well, which is why his occasional mistakes, such as the spin at Indy, will be frustrating him. The visit to North America did not go well for Ferrari, who saw McLaren walk away with two comfortable victories, and even saw BMW-Sauber on the step above them in Canada. Unlike 2006, where Bridgestone had a definite advantage over Michelin, it is going to be a struggle to bounce back in France. Then again, the team have not been sitting idle. Testing at Silverstone seemed to go well, with both drivers very happen about progress, so it will be interesting to see the difference when the new aerodynamic package is given a competitive airing this weekend. Perhaps will put them back on par with McLaren. Meanwhile, in the background, there are distractions: Nigel Stepney being investigated is a very public sign that internal politics are again rearing their heads at the factory, something that has blighted Ferrari's ability to perform as a team in the past. Should this very dangerous beast remain untamed, then their challenge is likely to come off the rails again, and stay that way. 5. Felipe Massa: still dominating his teammate, the Brazilian has to be commended for retaining his pace through the season, which must be giving his critics pause for thought. The weekend ahead is unlikely to throw up any surprises: he will be looking to fight for pole and the race win, provided the car is good enough. 6. Kimi Raikkonen: again, Raikkonen comes away from testing saying that he is more comfortable with the car, so again, it is likely he has closed the performance gap to his teammate. If he has finally restored his qualifying form and can take the fight to Massa, then he might offer him a challenge on race day, too. Objectives: Pole and race win. A year ago, Honda were pitiful in France as the car simply lacked the pace to be competitive - and then both drivers retired with engine issues. They have had similar stories for every race of this year, too, though better reliability has seen them making it to the end of the race, rubbing in the lack of performance. Talk early in the season anticipated a significant step forward for this race, and the team did indeed test a number of aerodynamic and mechanical changes in Jerez, but the difference it remains to be seen whether these will amount to more than a slight improvement in performance: certainly, the team are expecting to be more competitive in the midfield, but it seems unlikely that they will have done enough to be competing for points just yet. 7. Jenson Button: despite struggling in comparison with his teammate this year, as the car improves, so does the Englishman's relative performance - and it is probably no coincidence. The move to Bridgestone tyres, combined with inconsistency in the car handling, is becoming less problematic, but it is of little moment until the car is capable of running further up the grid. 8. Rubens Barrichello: although the early season advantage over his teammate has been eroded, Barrichello is very competitive and certainly aiming to be reckoned with in France. Should the improvements Honda introduced prove to be good, he will be aiming to challenge for a points finish. Objectives: get both cars in to at least Q2 and aim for a points finish. With Kubica kept out of the car by the FIA doctors due to the risk of repeated concussion, the team had to risk running new talent - and were rewarded for giving Vettel his chance by the point he brought home... otherwise, it was a below par weekend for the team. This circuit was not particularly kind to Sauber last year, and there is some danger that they will find it heavy going again this time around. Their nearest rivals have all been developing their cars with a view to making steps forward on returning to Europe, which means that they could discover their advantage in third place has been eroded. Certainly Renault, racing at home, can be expected to push very hard, so it may be necessary to run with damage limiting strategies to be sure of points, rather than being aggressive and scoring none. 9. Nick Heidfeld: with a strong season under way, Heidfeld is showing consistent pace at every opportunity, and has to be seeing the French Grand Prix as another opportunity to fight for a podium finish on merit, provided the car goes the distance. 10. 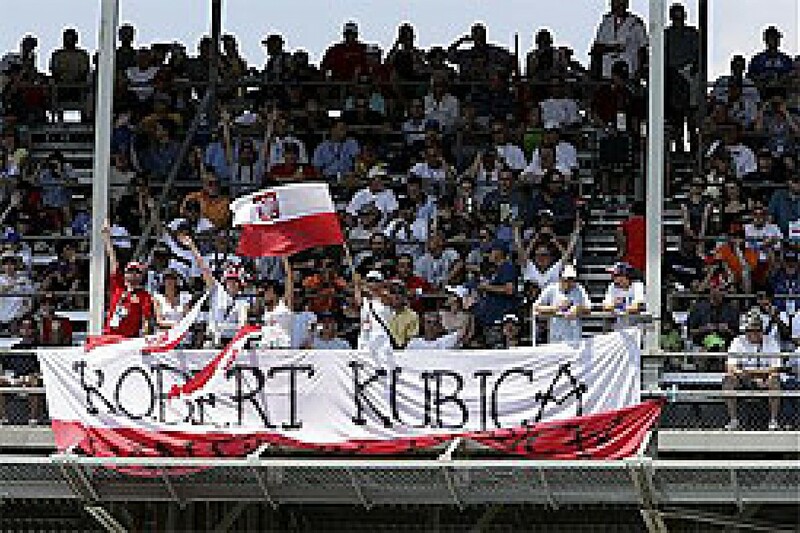 Robert Kubica: hoping to be given the green light, Kubica is expecting to return to the fold this weekend, and there is no reason to believe he will run any slower than he did before his spectacular Canadian accident. Mind you, Vettel put on a decent showing for a first outing, so it would be little surprise to see Kubica start the weekend by overdriving as he attempts to illustrate that the drive is really his, though he should settle down again quickly enough. Objectives: Get both cars in to Q3 and finishing in the points. It was a tough outing in the States, with the car unbalanced and difficult to handle in its low downforce configuration, but Trulli was still able to fight his way to sixth place on race day. They should be looking forward to this forthcoming weekend: from inception, this team have gone better at smooth circuits. 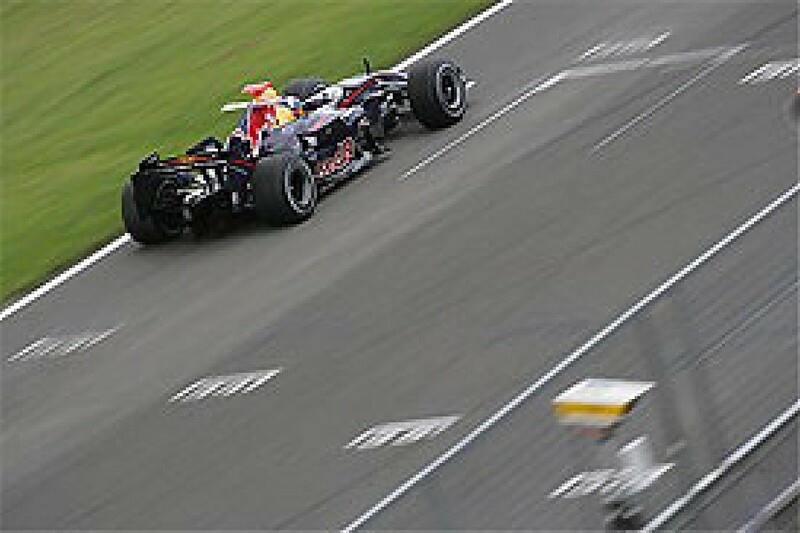 The test at Silverstone went fairly well, though relative performance is hard to establish given the mixed weather. The team have some updates to the aerodynamic package for the weekend ahead, so they are clearly looking to benefit from some sort of step forwards - though their immediate competition is probably still going to be Williams and Red Bull, rather than BMW or Renault. 12. Jarno Trulli: as a qualifying specialist, Trulli has often done well in France by having a great day on Saturday before holding on for a points finish on race day. Given momentum from his strong race in Indianapolis, it would not be entirely unexpected for him to have a very weekend and fight for points again. Objectives: Make it in to Q3 and score points. It was a bit of a mixed story for Red Bull in Indianapolis, as Webber qualified well, had a strong race, and finised seventh after taking the fight to Trulli and Toyota. Ironically, Schumacher in the other Toyota departed at the first corner, taking Coulthard with him. All told, it shows they are able to fight for points every time they head out, provided they are reliable. France proved to be a decent weekend for the team last year, and there is no reason to think that they are going to be less competitive this time around either. Since returning to Europe, the team have been testing and ought to have a better handle on the reliability issues that have dogged them all season, though it remains to be seen what performance improvements they might have available for this race. 14. David Coulthard: although his qualifying form is suspect, the Scot has an affinity for the Circuit de Nevers that should not be discounted - he is usually not only quick, but able to find his way around slower cars to boot, so keep an eye out for him this weekend. 15. 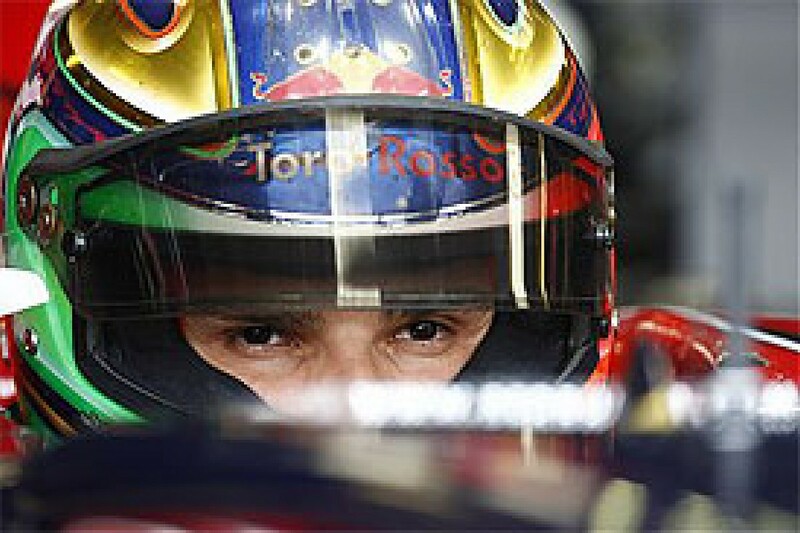 Mark Webber: with a premium on qualifying, Webber's particular strength will be useful here. Even if he is a little off the pace of other midfield runners, with overtaking very tough, a strong Saturday should set him up with the potential to score points. Objectives: Make Q3 and score points. Last year, France was hardly a good weekend for the team, as they had the race compromised by an engine change for Rosberg and spectacular tyre failure for Webber: the pace was quite decent otherwise, and they might have scored points. This year, the team have been looking more competitive and in the States threatened to score, though Rosberg retiring from an oil leak whist running in sixth is a clear indication that they are still struggling with reliability. Since returning to Europe, the team have been testing a number of enhancements to all aspects of the car: the aerodynamics in particular seem to be showing good progress, which is important for a place like Magny-Cours; quite how competitive it makes them is still to be discovered, but they will hope to have closed the gap to Sauber: the quest for points should be interesting this weekend. 17. Alex Wurz: with qualifying a continuing problem for the Austrian, he should not be counted upon to match his teammate in France, which puts him at an immediate disadvantage in a place where overtaking is so difficult. That said, his strategy will take his performance in to account, so watch for some out of sequence stops in order to let his race pace show. Objectives: Get at least one car in to Q3 and score points. This season, the Toro Rosso outfit have occasionally been able to put on surprisingly good showings, threatening their senior outfit from time to time. Indianapolis was not one of those: they struggled to find pace from the car, qualified at the back of the grid and raced there too. France was good to the team last year, though particularly painful for Speed, as he hurt himself in a crash on the Friday before qualifying and racing strongly for a tenth place. Liuzzi had an engine change penalty but still ran strongly. Perhaps they will step up their game again this year: the car is clearly more competitive with the more normal downforce settings and cornering speeds they will face in France, so getting into Q2 and targeting a top 10 finish is not unbelievable. 18. Vitantonio Liuzzi: currently showing his teammate the way on most weekends, Liuzzi will be looking to do the same again in France if the car is not competitive enough to challenge in the midfield; if it is, he can be expected to have a long, hard race. 19. Scott Speed: having shown positively last year, this is a good opportunity for Speed to show that he still has the talent to take the fight to at least his teammate: his record so far is not impressive this year, and redressing that balance should be a more important personal goal than beating the competition. Objectives: Get in to Q2 and finish in the top 10. This year, although they have been developing the car and are probably expecting to make a step, there is little evidence that they are really closing the gap to the likes of Toro Rosso or Super Aguri, let alone the front-runners. 20. Christijan Albers: still struggling to match his teammate, Albers has been spending time on the test track in an effort to close the gap. Without stepping up that game further, he is unable to run at the pace of the midfield either, and likely to have a relatively quiet race at the back. 21. Adrian Sutil: if his affinity for the wall has finally been sorted out, Sutil can again be expected to give his teammate a rough time this weekend, as he seems to have an edge in pace on every outing. Perhaps it is too soon to suggest that he is going to be able to be consistent over the full distance, but his pace testing for the team in 2006 was very impressive, so he has to be optimistic for making trouble in the midfield, too. Objectives: Get both cars to the finish. After another decent showing in the US Grand Prix, Super Aguri are heading to Circuit de Nevers with some optimism - though they are going to need other teams to have reliability problems before they can score points. Last year, the outfit were still very clearly getting to grips with the sport, racing a hybrid chassis that was not competitive, but they got one of the cars to the finish. This year, they expect to qualify off the back of the grid, perhaps make Q2, and compete with the midfield runners. 22. 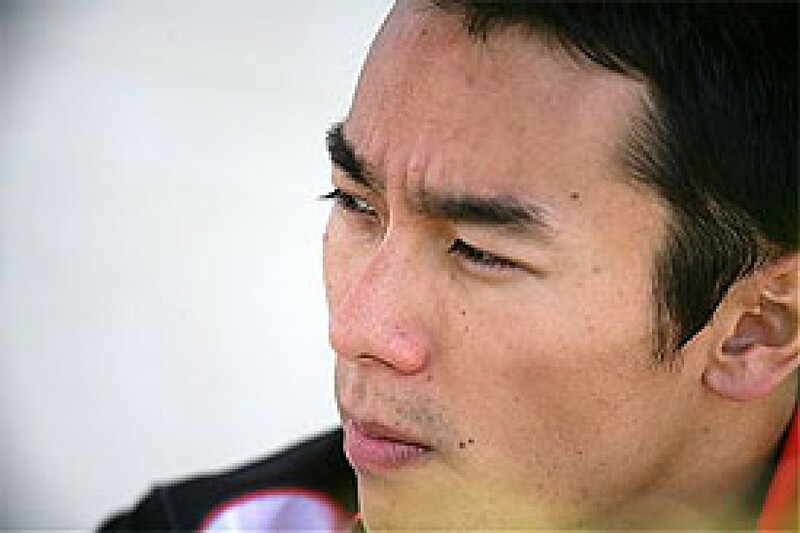 Takuma Sato: starting the weekend with a ten-place penalty after qualifying for overtaking under yellow in the US race, the Japanese is facing a long weekend: if he qualifies below twelfth, as expected, then he can have a free engine change, but climbing up the grid is going to be tough. Objectives: Get both cars to the finish - racing the midfield teams.